Use our Food poster to help you present, practise, recycle and build on language related to food. 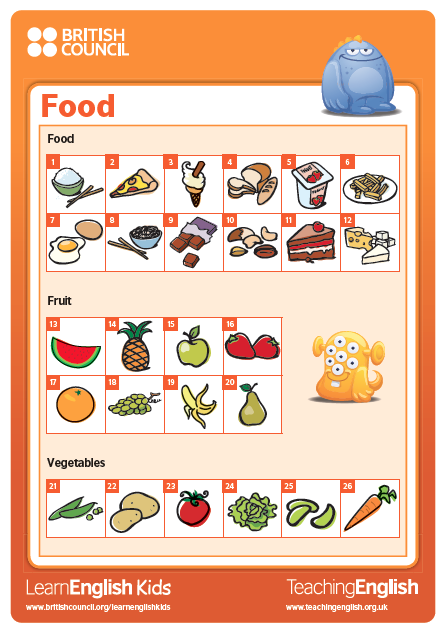 The Teacher's notes give you some ideas for using the ‘food’ poster with your learners. Thanks for your comment - the link has been fixed now and takes you to the food poster. I really appreciate this activity. The food poster is very useful.